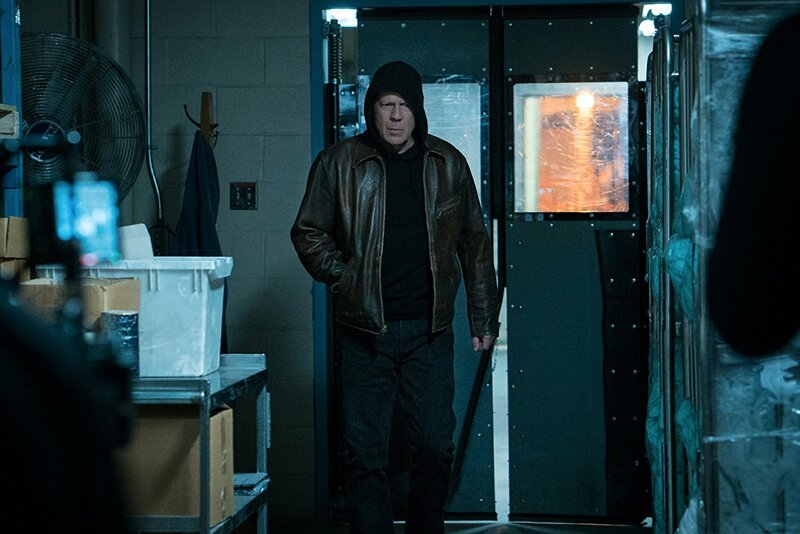 Bruce Willis is back and he has a death wish in the 2018 remake of the classic 1974 revenge flick of the same name that starred Charles Bronson. Both films are based on Brian Garfield's 1972 novel of the same name. Eli Roth, of "Hostel" and "Cabin Fever" fame, directs the updated "Death Wish" with gory gusto, but, like most remakes, the film eventually ends up feeling like it didn't need to exist. Willis stars as Paul Kersey, who is changed from Bronson's New York architect to a Chicago trauma surgeon. When his wife (Elisabeth Shue) is killed and his young adult daughter (Camila Morrone) falls into a coma after a violent home invasion, the good doctor becomes painfully aware of how badly society has fallen. In his attempt to deal with the grief and helplessness he becomes a vigilante of sorts, gunning down criminals as he roams the dark streets every night. Eventually, those responsible for destroying his family cross his path and Kersey's thirst for revenge turns him into an unstoppable force of retribution. If only the movie could have been as awesome and over-the-top as it sounded. The truth is that despite its R rating and being directed by a grindhouse enthusiast, the film is pretty tame. The home invasion sequence was far more violent and disturbing in the 1974 original, Kersey's violent escapades are pretty generic and punctuated by brief moments of gratuitous gore that feel more at home in "Final Destination". And while the original had a more realistic evolution, the remake simply delivers a cliched revenge plot that has been done to death in other, better movies. Neil Jordan's 2007 "The Brave One" starring Jodie Foster is one such example of how good a revenge thriller can be when done right. Another solid example is James Wan's "Death Sentence" starring Kevin Bacon, based on Garfield's sequel novel, which he had written as a form of penance for both the "Death Wish" novel and big screen adaptation. The new "Death Wish" refuses to fully explore its protagonist, placing him in the middle of all kinds of situations that strain credibility, and even Willis, who was once a master at turning the most ridiculous characters into likeable heroes, is powerless to breathe life into Kersey. He's also a bit too old for the part and it's sometimes hard to tell if he's grieving or just bored. I never thought I'd ever say this, but Willis feels miscast. The character evolves in leaps and bounds. His transformation from meek law abiding citizen to ruthless gunslinger is rushed and unnatural, and when Willis goes full Die Hard in the film's final act, it's clear that everyone's given up on trying to keep the plot focused. It's even more surprising given that the script was written by Joe Carnahan, whose "The Grey" and "Narc" had real depth to its characters. This genre depends almost entirely on its protagonist. Without a strong central character, the rest is meaningless. It's even more important when the subject is as controversial as it is here. The film is pretty much an endorsement of vigilantism, with unconvincing attempts at creating a balanced point of view throughout. It depicts modern society as a battlefield where the righteous must take up arms to protect their own families against the lowly scum of the earth. Obviously that message made everyone more than a little squirmish given the tensions that already exist in the real world and with so many cases of innocents gunned down by insane individuals. That led to something of an overreaction to this movie, which I can understand to a point. But anyone who complains about this one, should really watch the original. The Bronson movie isn't just violent, it's downright scary. 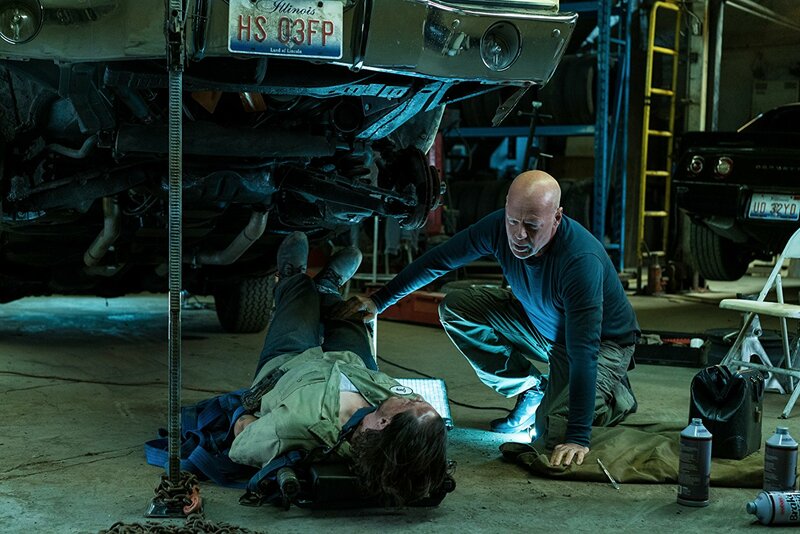 The plot is about as good as any TV procedural, and the supporting cast that includes Vincent D'Onofrio as Kersey's brother and Dean Norris as a seasoned detective, is okay. In the end, "Death Wish" didn't have to be a good movie, but at least it could have been fun in a "guilty pleasure" kind of way. What we have here is a dreary B-movie with mixed feelings about its topic that doesn't fully embrace its genre tropes, and when it comes close to it, it ends up being a rehash of much better revenge flicks.